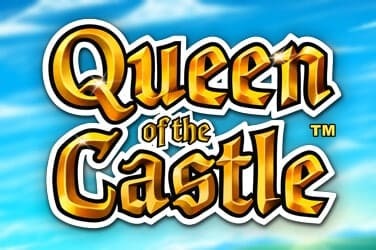 Before you start playing, you need to be clear that this is not a euphemistic title for a lady garden. That might be a good or a bad thing in your eyes. I’m not judging. 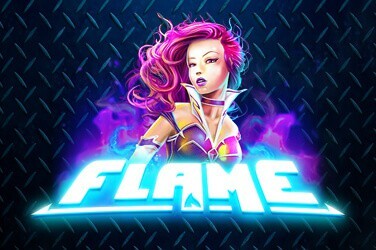 The truth is either way you won’t be disappointed – NextGen Gaming know how to make online slots, and the magic and fairy dust with which they whisk us away here will have you dreaming of Neverland. 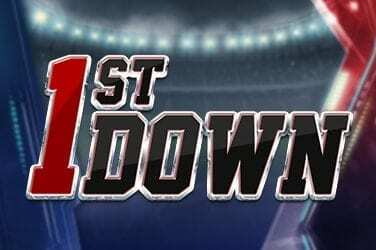 The instant hit we get from the outset of this title is the beauty of the game design. The reel case is wrapped in vines and surrounded by flowers of all shapes and colours, while the backdrop is an impressionist scene that would have Claude Monet buttering his baguette. This is a forest any fairy could do their business in. The game’s symbols are similarly beautiful and feature those perennial fairy companions the Hummingbird, Toadstool, Lily and, err…Twinkling Snow Globe? Whatever it is it looks pretty special, and as the game’s second-highest paying symbol it is not to be sniffed at. 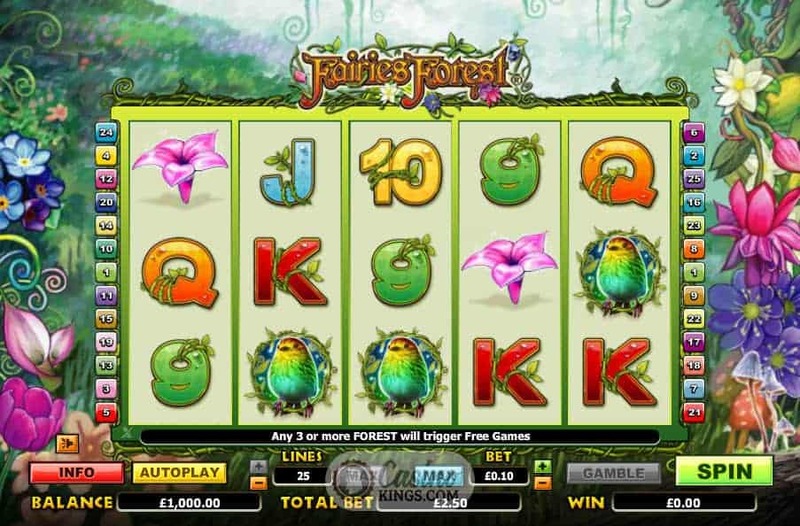 Even the 9s through Aces have been given a fairy makeover, entwined with the vines of the forest. The Fairies of this forest are Wild. Literally. They substitute for all other symbols as good Wilds do, but in random fairy fashion they spring into playful life from time to time and become an Expanding Wild. This will occur on reels 2, 3 and 4, as a fairy will flutter up from her reel and send up to three reels Wild. 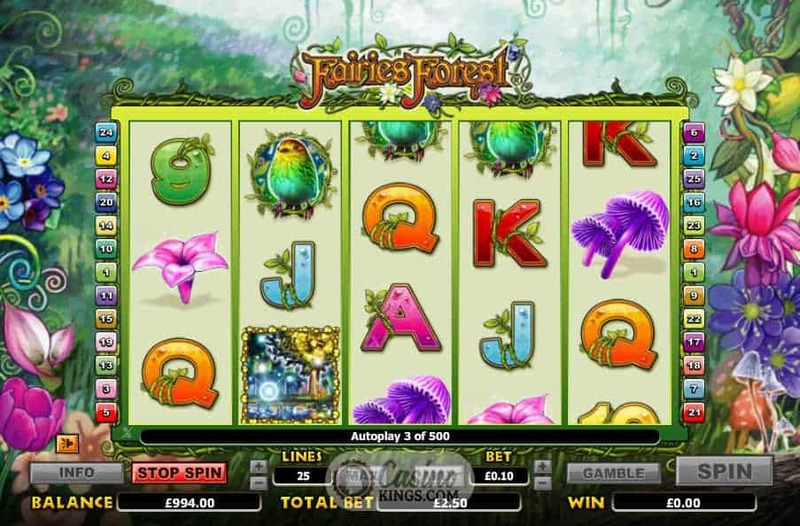 Magical though this is, the real magic comes during the free spins feature, triggered when we land three, four or five Forest Scatters anywhere across the reels. 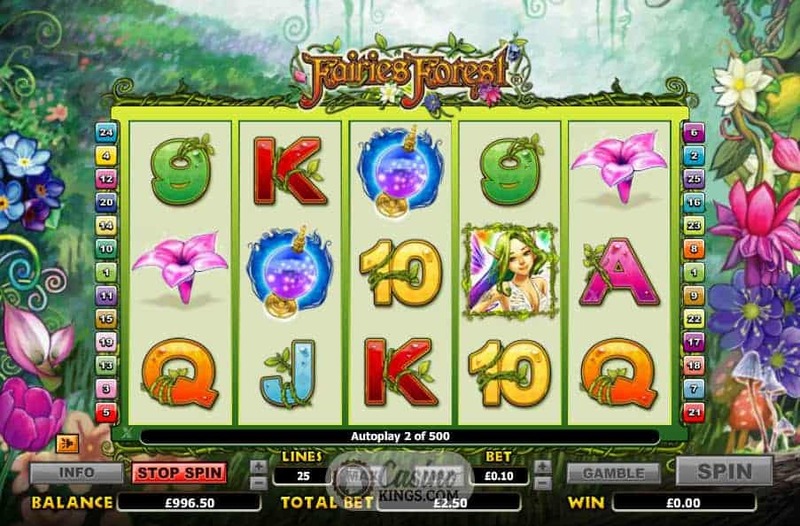 Here the Fairy Forest grants us 10 Free Spins, and although the fairies don’t bestow upon us any extra multipliers any wins with the Wild Fairy will payout 3x. 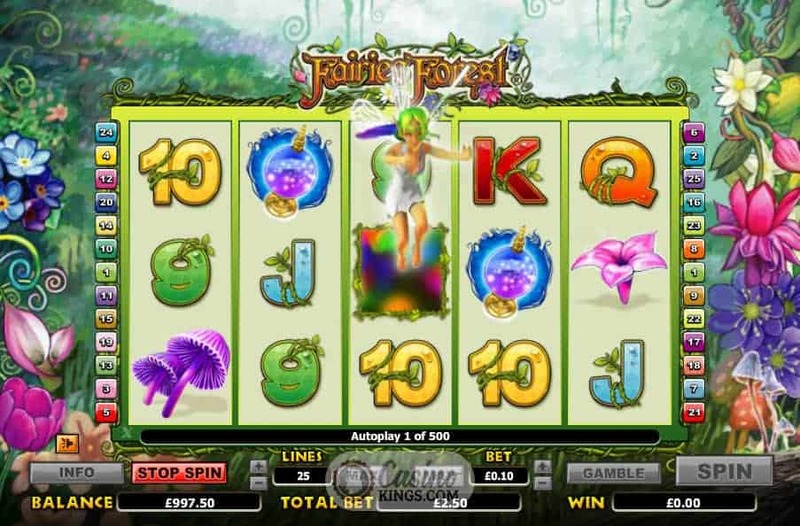 And in that mischievous fashion of fairies we can also gamble with our fortune with NextGen’s trademark Gamble Feature. 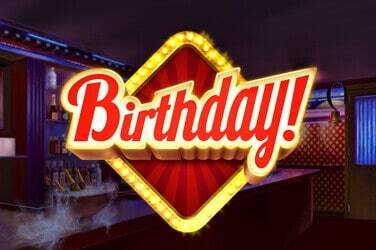 Choose correctly the colour or suite of a face-down card and we can double or quadruple our prize. Choose incorrectly and we will see our whirl away into the forest. 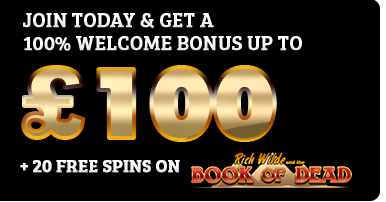 Even if you are more of a hard-hitting action fan and to whit this theme would not be your first choice, the game design alone is worth a few spins. Before you know it, the twinkling Fairies Forest and its inhabitants will have you under their spell and those Jean Claude Van Damme movies will seem but a distant memory.